In part 1 of this series, Paypal versus Stripe, we considered the PayPal vs. Stripe debate solely in terms of the transaction costs involved. Obviously, cost is an important consideration for small-business people, especially the growing number of home-based, internet entrepreneurs in America and elsewhere. However, these two competing market leaders are often indistinguishable on their price points, so other criteria must come into play when making the final decision. Here are four critical factors to look at when comparing PayPal and Stripe. 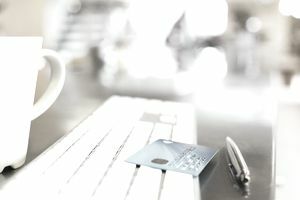 After transaction costs, security is arguably the biggest issue for online payment processors, and both companies are at the security forefront. Stripe and PayPal offer different approaches. Stripe has gained accolades for its Stripe.js program, whose web page offers a tutorial that explains the functions you'll need to get started with payment processing on your e-commerce site. Its big selling point: It allows users to collect credit card information without having to store it on their own servers. It ensures Payment Card Industry (PCI) compliance so as not to run afoul of regulators. Improved security: Even if your servers are hacked, credit card data won't be stolen. You or your employees are not tempted to use clients' credit card data. Generally speaking, most online entrepreneurs, particularly solo-startups, prefer to use a third-party shopping cart to process the transactions for their business rather than getting into all the technical nitty-gritty of doing it on their own servers. Frankly, only large businesses willing to pay for PCI compliance should even consider local storage. Still, that's what you'll have to do with Paypal. PayPal offers an extensive developers' kit for setting up payments and storing cards in a vault, but you are obliged to store the information on your own servers. Unless you are comfortable with coding and application program interfaces (APIs), you are at the mercy of the software developer who implements your payment security, which can become extremely cumbersome and costly. Stripe is recognized for having one of the best APIs in the business and has forced PayPal to make significant improvements in recent years. PayPal's RESTful API is now a step up from the early days when its competition was nonexistent. Even so, Stripe's still has the edge, thanks to its simplicity, clean code, good documentation, and ease of use. The Stripe API libraries are available in several languages (i.e., Java, PHP, Python, Ruby, Go, etc. ), so you're bound to find a developer who can work with them. Again, you are most likely not going to handle the payments on your own servers, but this flexibility gives you a lot of options when choosing a shopping cart solution, as almost all of the most popular ones integrate with Stripe. Stripe also allows you to accept Apple Pay payments on your website. As with APIs, PayPal has moved far from the bad old days of infrequent email communication and nearly nonexistent live phone support when crises (i.e., fund freezes) arose. Still, its size and management structure make it more susceptible to complacency than its more nimble rival. Stripe is motivated to take over the top spot for good, and its entrepreneurial spirit shines through in this aspect of the business. Its IRC and email channels make engineers accessible for live help 24/7, via phone, email, or online chat. Stripe comes out on top here, since it will actually help you migrate to the new platform in a PCI-compliant fashion. PayPal, not so much. You risk losing a lot of customers if you leave PayPal no matter how long you've been with them, because they won't transfer credit card data for you. Based on this two-part survey of both online payment processing companies, it is difficult to conclude that one company is clearly superior. A home-based entrepreneur or someone who is just starting a new blog is likely to find comfort in PayPal's established history and micropayment option, whereas Stripe has the better API and is, in our judgment, more customer-friendly. Perhaps trying out both services equally for a few months will help you decide what is most appropriate for your business. Many e-commerce places actually use both services on their website; Stripe to take credit card payments and PayPal for those customers (a large majority) who are most comfortable using the more familiar, established platform.